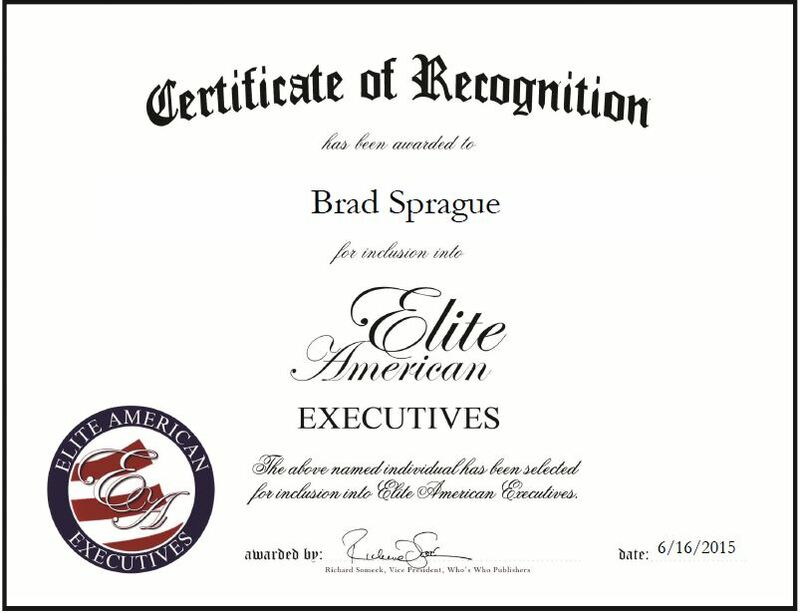 Grand Haven, MI, June 16, 2015, Brad Sprague, Director of Operations and Maintenance in Afghanistan at DynCorp International LLC, has been recognized by Elite American Executives for dedication, achievement and leadership in property management. Mr. Sprague had a desire to enter the construction industry because he knew it offered various opportunities to advance professionally and work all over the world. Before joining DynCorp International LLC in 2009, Mr. Sprague served as a construction manager at Camp Bucca in Iraq, where he leads numerous projects, and was the facilities manager at KBR, Inc. Additionally, he held a variety of managerial positions over his 30-year career that have exposed him to different facets of the industry and shaped him into the well-rounded leader he is today. An expert in property management, Mr. Sprague spends his days managing properties, sites, camps and facilities in Iraq, overseeing construction, establishing and improving sites, handling logistics of the civilian augmentation program, providing soldiers with basic needs, developing policies and procedures for all trades, and managing regional construction teams completing special projects. He attributes his success to his attention and hard work. Moving forward, Mr. Sprague hopes to advance to a position in senior management and earn an MBA in international business. He also plans on volunteering in disaster relief and gaining knowledge in the civil construction industry. This entry was posted in Contractor and tagged Afghanistan, construction, facilities, Iraq, military, project management, property management. Bookmark the permalink.